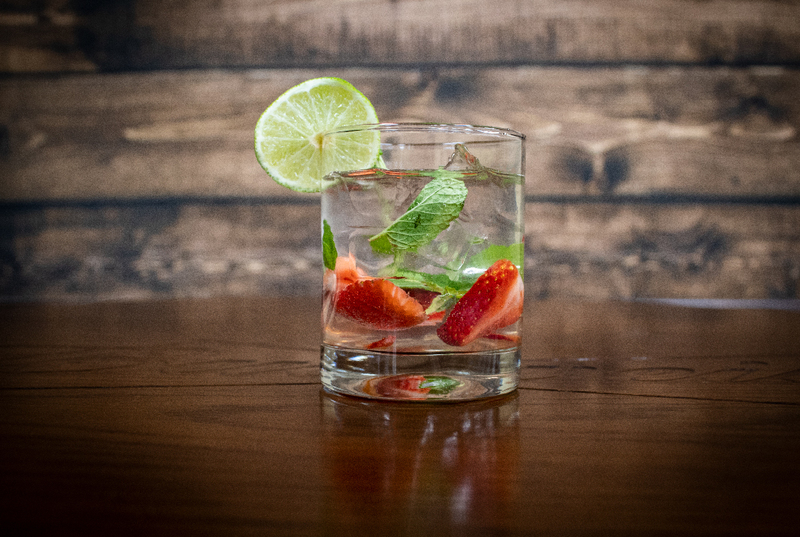 This Mixed Drink Monday learn how to make a Strawberry Mojito! This is the perfect drink to sip on while enjoying this fabulous springtime weather. We hope you enjoy! Step 1: Cut some strawberries into quarter slices and place into glass. Step 2: Add 2 or 3 mint leaves into the glass. Step 3: Squeeze the juice from half of a lime into the glass. Step 4: Muddle the strawberries, mint leaves, and lime juice together using either a meddler or back of a spoon. Step 5: Add 1 tbsp. of the simple syrup to the glass. Step 6: Add 1 oz of rum to the glass (we used Hawkeye Rum). Step 7: Add ice cubes to the glass. Step 8: Fill the rest of the glass with club soda. Step 9: Garnish with a mint leaf and lime (if desired). Step 10: Kick back and enjoy!